The catch of the day arrives daily in our Seafood department, with fish so fresh it might jump out of the case. Made to order Party Trays, Fruit Baskets and Cakes will help you plan your next big event. The freshest cuts of Meat trimmed in-store by our butchers daily, Hot out of the Bakery breads and sweet goods made daily. Looking to try something sweet and juicy? The freshest fruits along with farm fresh vegetables are always in season in our Produce Department. Food King Supermarkets has your favorite lunch meats and cheeses sliced to order and many prepared items to make meal planning a snap. Notably, each Food King Supermarket location serves a unique and sometimes ethnically diverse community. We strive to stock each store to cater to the specific grocery needs of the surrounding neighborhood. 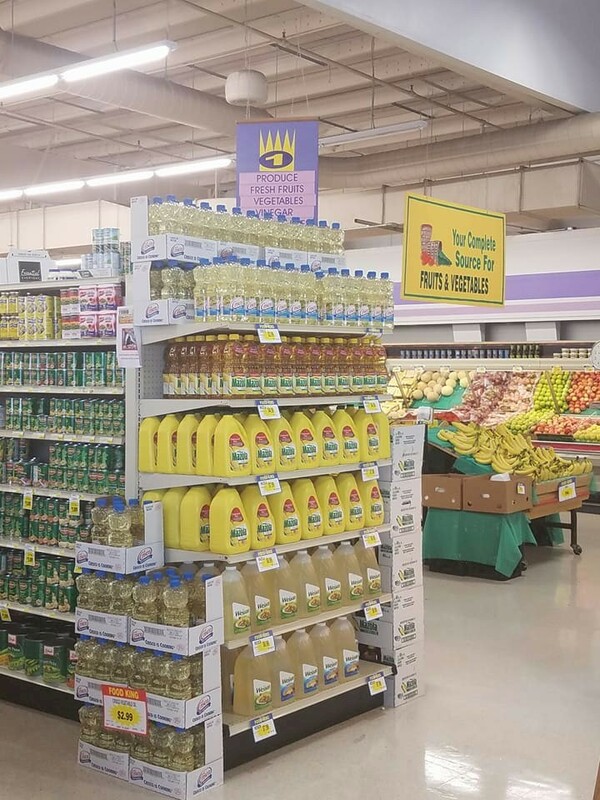 You’re sure to find what you need at your local Food King Supermarkets.